Use social media to get your message directly to the people who have the power to affect the lives of people living with kidney disease. One of the best ways to get the attention of lawmakers is to follow them on every social media platform where they have a presence. Tweet to them, post on their Facebook pages, tag them on Instagram and tag them in your own social media posts. These post will also gain exposure to other people with same interests and concerns when you use the proper hashtags. We’ve compiled a few tips and tools to make keeping tabs on and communicating to representatives via social media a quick and easy process. Check back often to stay informed of any changes or if important legislation has been introduced. There are limits to the number of hashtags to use in one post depending on the platform. In general three is most you should use on a single post on any social media platform. Twitter has a character limit of 140. So depending on the length of your post, use the strongest, most applicable hashtag on Twitter to get the most visibility. If you are sharing an image with text or a link to a web page, you can get away with no text in your post, which will leave room for hastags and tagging. If you have no text, be sure to place hashtags before tagging to be sure your own followers see the post. Tag your Representatives and Senators in your posts to bring their attention to and more exposure to your posts. To tag your senators copy and paste the handles into your post or type them manually using the @ symbol and their handle letters. To make this step quick and easy for you, we compiled a list of social media handles for each state senator. Follow the format below for the best visibility on each social media platform. Feel free to copy and paste or write your own message. 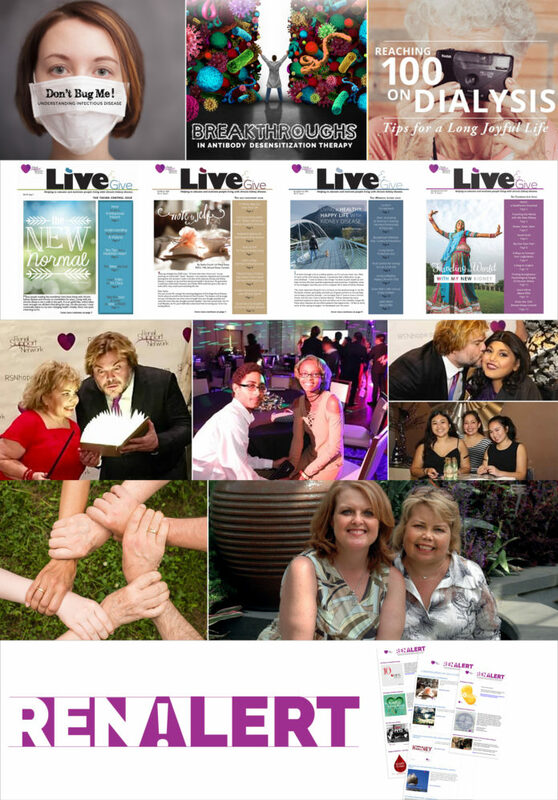 Use any of the social graphics below the sample posts to strengthen your message. Over 1 in 10 individuals in the U.S. has kidney disease and more than 20 million Americans are at risk of developing it and don’t know it. 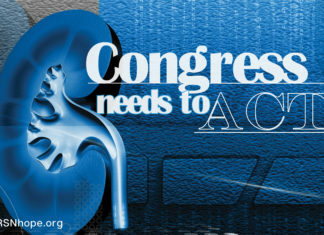 Please support legislation to protect people who have kidney disease and living donors. Posts with images always get more attention, likes and shares. We prepared these images help you get your point across. 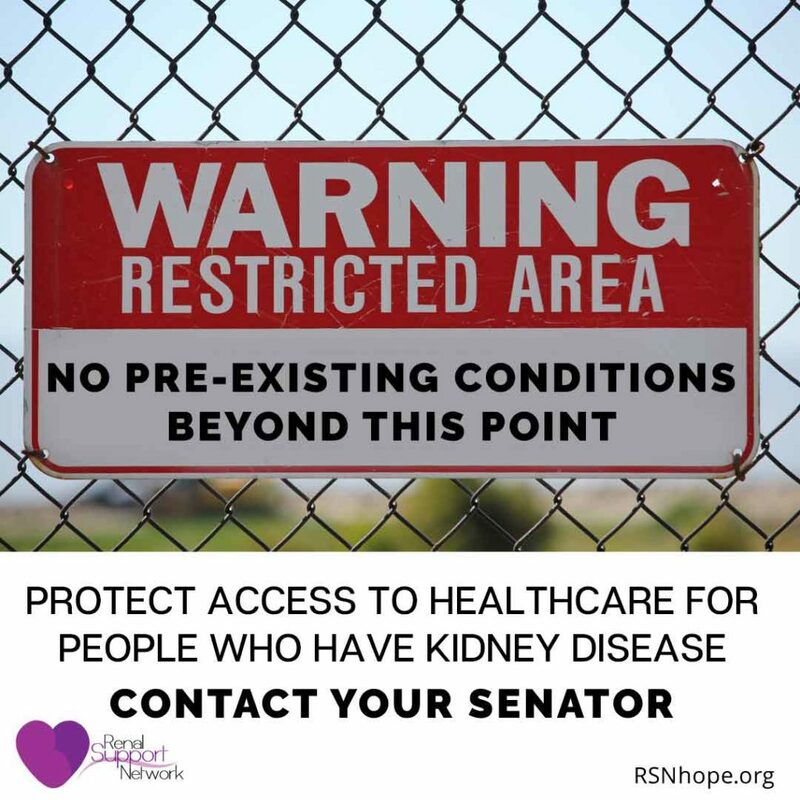 You can share with a text post or just the image by itself with tags to your state senators and @RSNhope. To send a text only Tweet, click the button below.